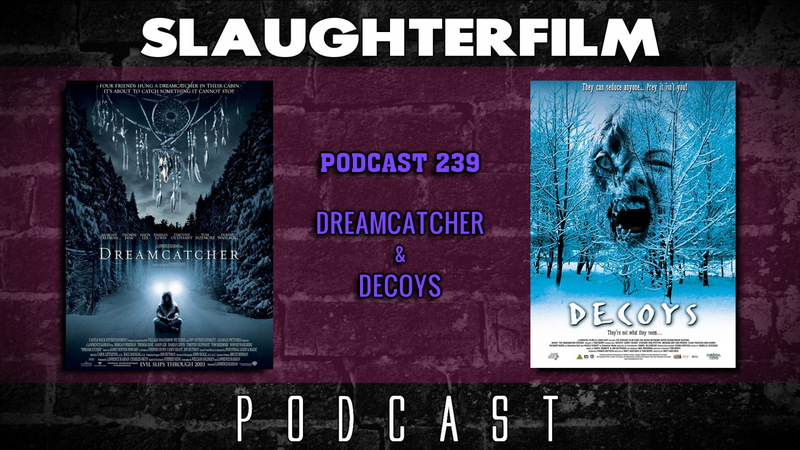 This week the Horror Duo embrace the arctic winter weather by discussing a pair of cold wintry alien flicks. Forest reviews the Stephen King adapted Dreamcatcher, complete with an unhealthy dose of "taco shits". Cory teaches everyone just why you shouldn't judge a book by it's cover with the indie Decoys. Forest celebrated Friday the 13th by watching Jason films and drink beer. Cory explains how he got involved in playing an extra in the soon to be filmed Mindhunter Netflix original series. They also chat about a possible Fright Night 3, Tales From the Crib and another season of The X-Files to likely come in 2018. For more Slaughter Film news and reviews, as well as show notes and special events, make sure to visit our website; SlaughterFilm.com.